… but Don House and I will be showing you our new work at Fayetteville Underground in November. It’s a showcase of the three years we spent visiting the Wichita Mountains region in southwest Oklahoma. We’re Not Telling You Everything is the title of our exhibition, and it was inspired by a place we visited there. “For three years, photographers Don House and Sabine Schmidt traveled to southwest Oklahoma to photograph the land and the people of the Wichita Mountains. The mountains—among the oldest but least known in North America—rise up from the plains like a beacon for shelter, water, and nourishment. A small range, the Wichitas stretch only about 40 miles from east to west, but they hold a central position in the history and lives of Apaches, Comanches, Kiowas, and other plains tribes. The Fort Sill military installation shares a winding fence through the mountains with one of the oldest wildlife refuges in the country. Ranchers and wheat farmers, amusement park owners, retirees, soldiers, waitresses, preachers, rangers, locals and strangers all make their homes in the shadows of the ancient granite mountains. 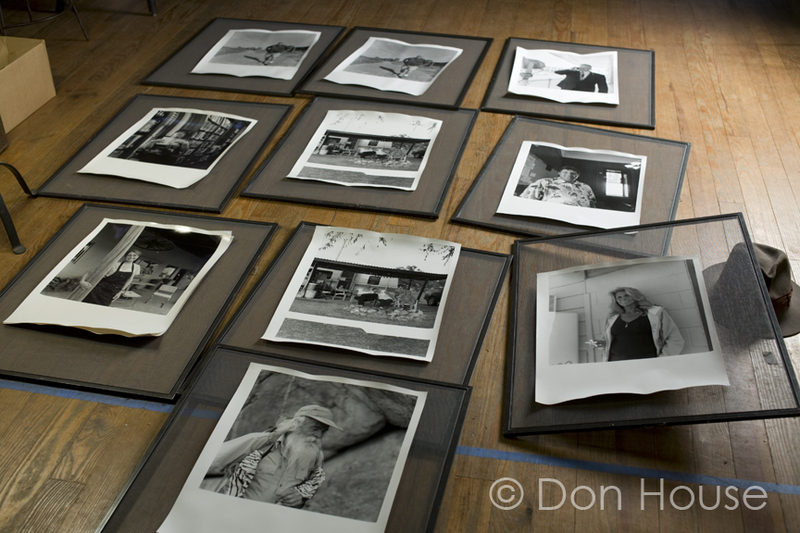 Some of Don’s prints drying. Join us on First Thursday at the Underground and ask us anything–we may tell, after all.